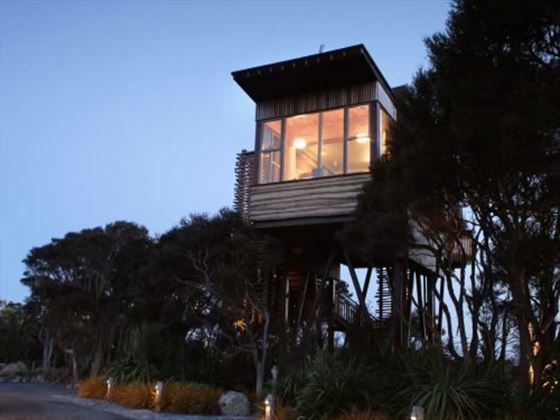 An idyllic retreat that fuses a country lodge with a chic hotel, the Hapuku Lodge & Tree Houses is really something special. 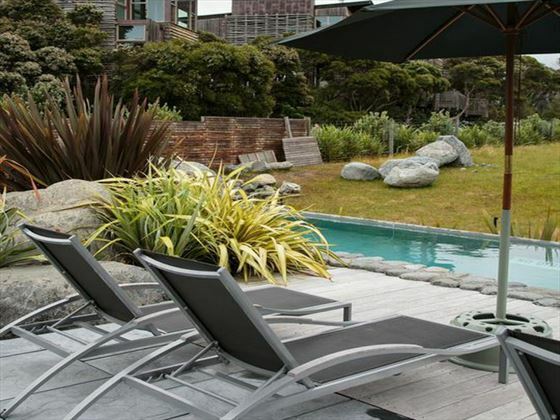 Architecturally-stunning, the accommodation here provides sensational views of the surrounding area and is perfectly located for exploring the Kaikoura coast. 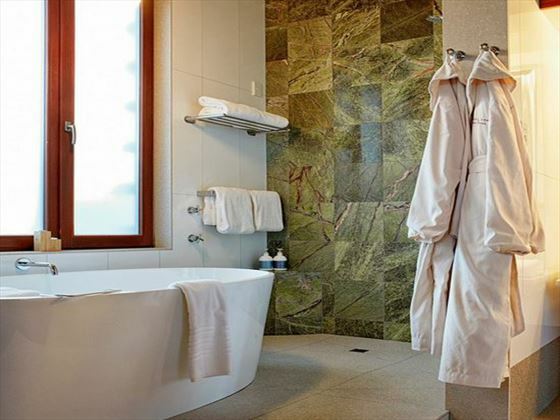 Guests will feel pampered from the moment they arrive, with luxurious suites, fantastic food and a welcoming ambience. 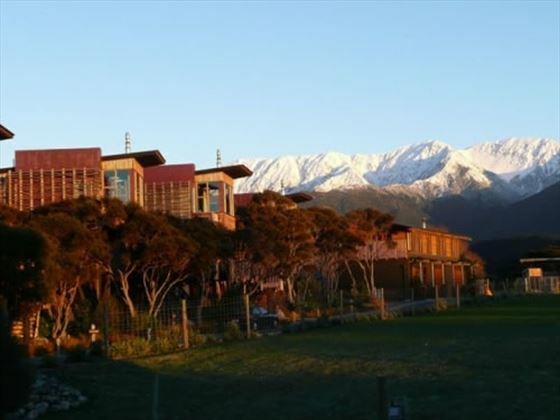 The lodge is located halfway between Christchurch and Picton, on the east coast of the South Island just north of Kaikoura. 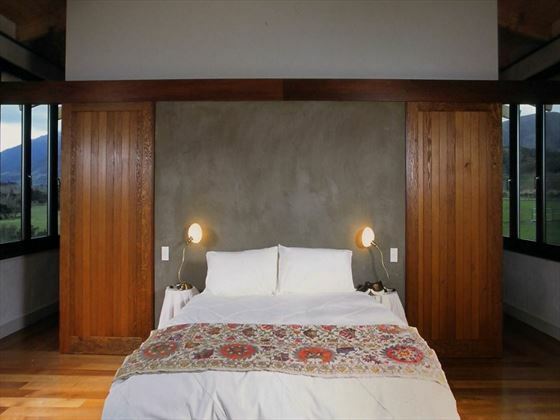 Lodge Room – Features a custom-built king-size bed, Japanese-style soaking tub and balcony overlooking the deep paddock. 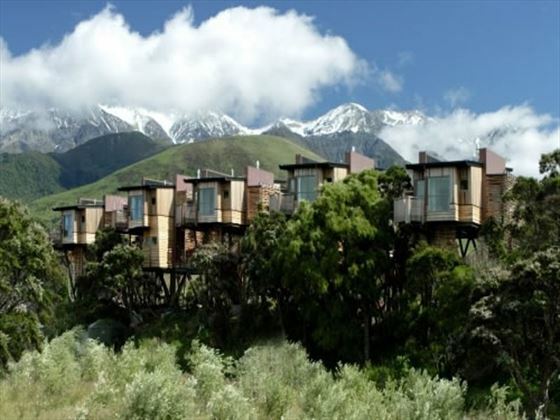 Lodge Suites – Spacious suites with views of the surrounding landscape, either a balcony or patio, and separate living and sleeping areas – these suites sleep up to three people. 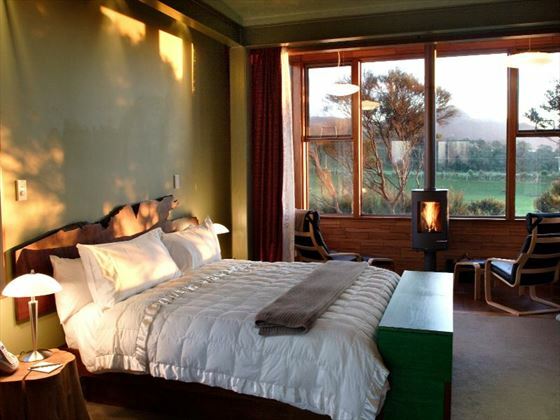 The Hapuku Room – Overlooking the lap pool, deep paddock and the mountains of Kaikoura, this room is spacious and light, with a stone gas fireplace and open-plan bathroom. 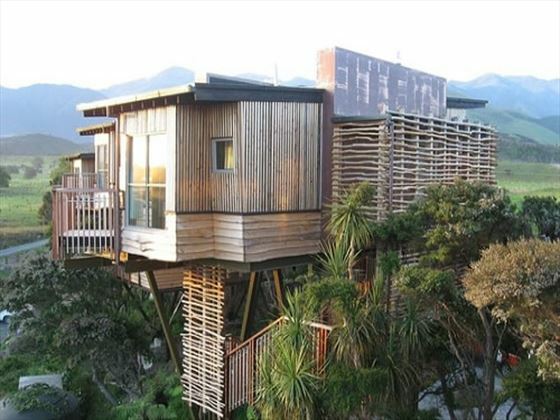 Tree Houses – Each of the tree houses is situated above a native Manuka grove with mountain views. There is a choice of one-bedroom or family houses, each with ample space to relax. Olive House Suite – This is the most spacious of the lodge’s accommodation and ideal for families, with room for up to two adults and three children. This has a home-from-home feel, with a fully-equipped kitchen, couple’s spa bath, TV and personalised iPod system and 360-degree views of the landscape. 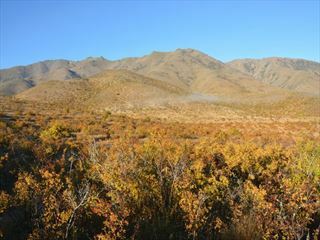 Stays at the Olive House also include a three-course dinner and full cooked breakfast for two in the lodge. The lodge features an on-site restaurant serving excellent food, crafted from local ingredients. All of the food featured in the menu is made at the lodge, including jams, bread and ice cream. 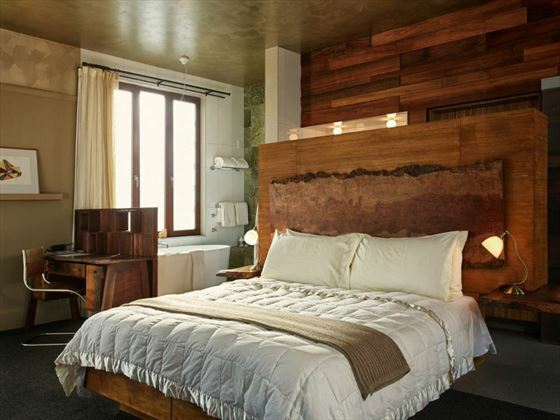 While the lodge doesn’t feature any specific facilities for children, families are certainly welcome and there are spacious rooms available to accommodate larger groups. 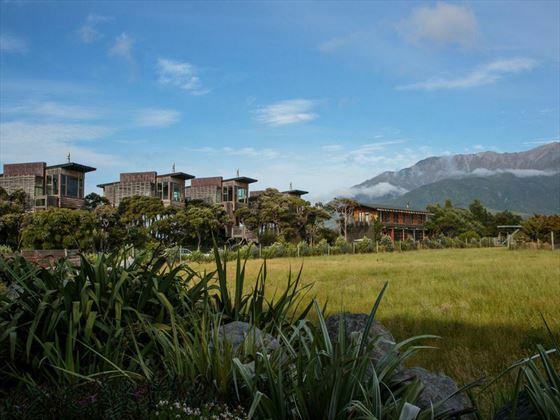 A self-drive journey through the South Island, this 13-day trip takes you on an extraordinary adventure from Christchurch to Milford Sound, Mt Cook, Franz Josef and much more. 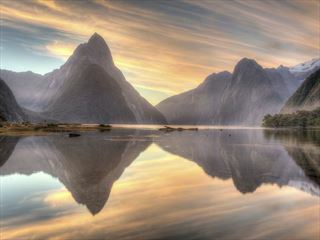 A stunning 21-day adventure which offers fantastic value for money, exploring the North and South Islands in depth. 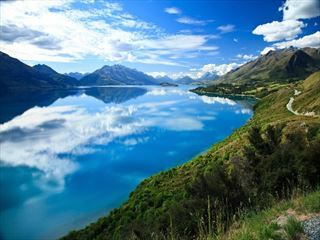 Beginning in Christchurch and ending in Auckland, this is an exciting journey packed with sightseeing opportunities.